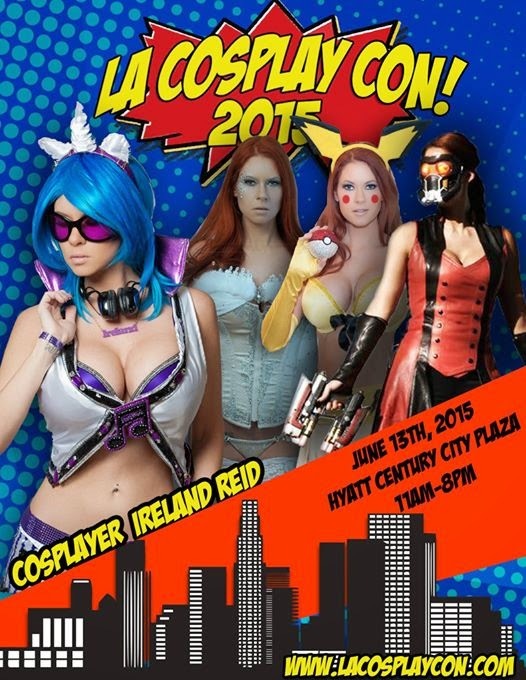 Crest Group will host their second annual LA Cosplay Con on Saturday, June 13th, at the Hyatt Century City Plaza hotel in Los Angeles. LA Cosplay Con is a one-day event for cosplayers and gamers to come together and celebrate the art and culture of cosplay. While participating in panel discussions with the leading artists and professionals in the field and the games business, attendees will again have the opportunity to check out exhibits, and enter contests followed by a dance party – which proved to be one of the stand-out highlights of last year’s event. Dave & Busters, the international restaurant and arcade chain, has come on board as a sponsor for LA Cosplay Con 2015 where they are amidst planning games, prizes and more for attendees. Anthony Angel, of Dave & Busters says, "We are excited to participate in locale events such as LA Cosplay. This event will bring all aspects of the community together to celebrate and have all out fun, and that is exactly what we are about." The wildly popular box subscription service for geek and gamer gear, Loot Crate, has also signed on to be a part of LA Cosplay Con. “The cosplay community is a community we are excited to not only support, but also be a part of. Many of our staff members are avid cosplayers and we couldn't be more excited to help participate in the success of this awesome event,” states Matthew Arevalo, co-founder of Loot Crate. LA Cosplay Con has already booked special guests, panel discussions, and contests with more announcements coming soon. In only its second year, LA Cosplay Con is sure to become a fan favorite!